Posted by Xenor Vernix on Sep 12, 2018 - 20:07. Luxpheras here, daydreaming about moogles, Patch 4.4, and romance - in no particular order. Ah, the bonds of true love, constant companionship, and the unforgettable memory of swearing one's heart to another forever... Isn't it beautiful? 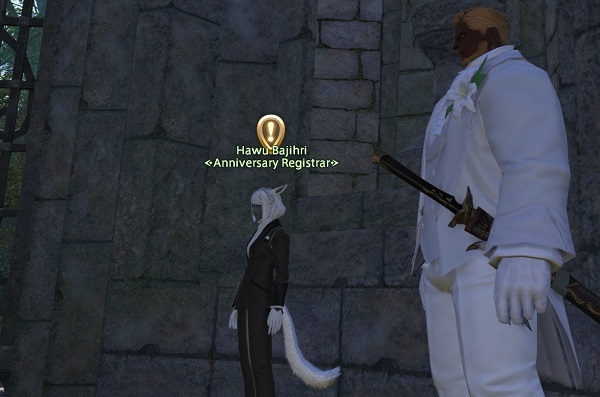 The luckiest of Eorzeans have found themselves joined, body and soul, in the Ceremony of Eternal Bonding. 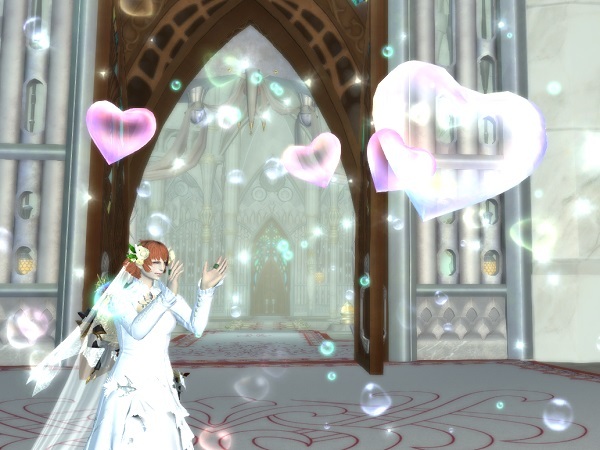 If you've yet to find that special someone, perhaps you've had the pleasure of bearing witness to such a bond being made at the Sanctum of the Twelve... and perhaps you look forward to finding your own partner! Perhaps, like Magnai, you're still searching for your Nhaama. Betrothed or not, Patch 4.4—Prelude in Violet will bring exciting updates for all to the Ceremony of Eternal Bonding. 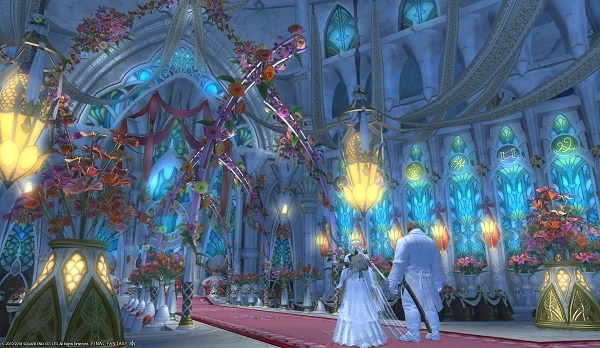 There are a plethora of new ceremony options in store, from lighting effects, decoration color choices, and even a new gondola type for the procession! The newly added lightning effects will be perfect for those looking to create an emotional atmosphere. 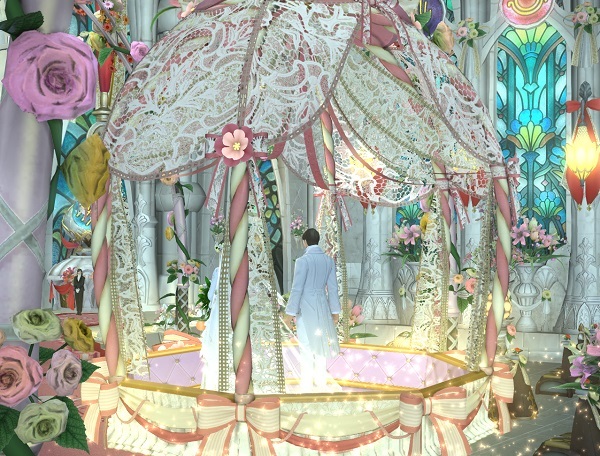 The decoration color options will allow you to customize the drapery and fabrics hung on the doors, altars and around the chapel, in addition to selecting the colors for the flowers and the carpets. Coordinate your perfect wedding with your favored color combinations! Two new types of procession gondolas will also be added. Travel down the aisle in the most charming way possible with a carriage of ribbons and lace! In addition to all these new ceremony options, guests will soon be able to purchase balloons and souvenir minions at the venue to celebrate your happy day! "But I've already been bonded!" you say, "How can I appreciate all of these new features?" You're in luck! The brand-new Eternal Anniversary feature arrives with Patch 4.4 as well. Players who held their Ceremony of Eternal Bonding one year or more ago will be eligible to celebrate their lasting bond once more. 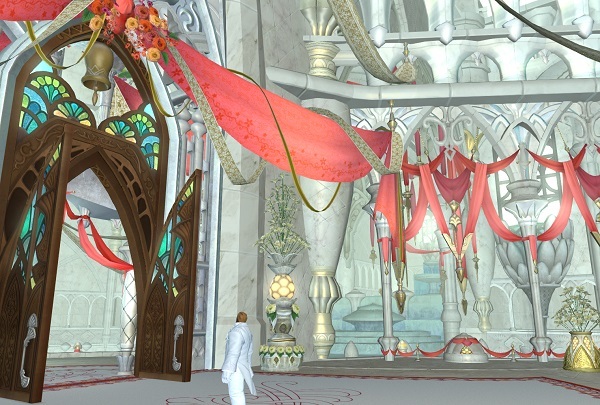 Partners may speak to an NPC in front of the Sanctum of the Twelve in the East Shroud to register for their anniversary ceremony. 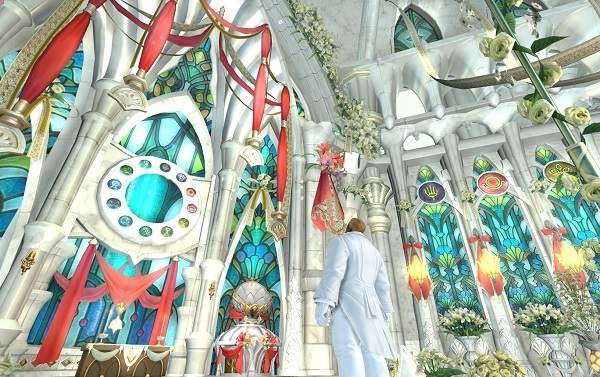 After accepting the quest from the Anniversary Registrar, players will be able to go straight in to choosing the settings for their desired ceremony and booking the venue. 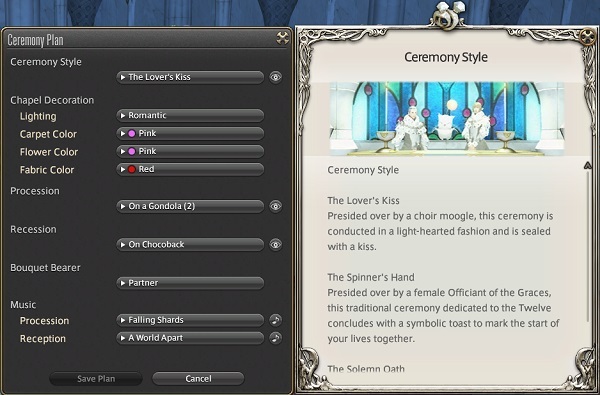 Keep in mind that this re-enactment does not have to follow your original ceremony plans, and you'll be able to select all the new options, equivalent to the platinum plan in the ceremony settings menu! 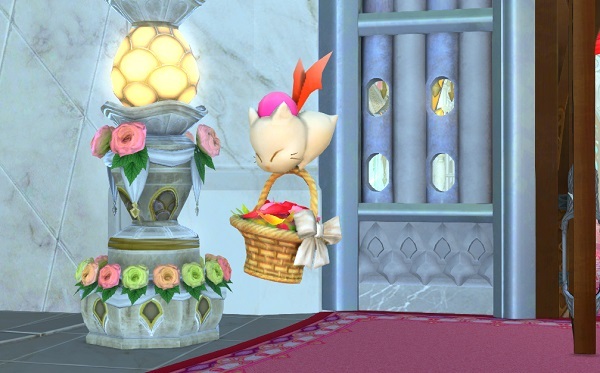 While there are "thank you" gifts for invited guests, you will not receive the ceremony attire, Jandelaine's Token or a Ceremony Chocobo from an Eternal Anniversary. So what will it be? Will you relive your ceremony exactly as it was, celebrating the memory with exact detail? Or will you create new memories with your partner by enjoying the myriad of new options? Whatever your choice... I'll be waiting for my invitation! Patch 4.4—Prelude in Violet is coming next week on Tuesday, September 18, 2018. In the name of love... Please look forward to it!